Welcome our newest company, Have a Heart CC (Davenport) to join the Local 431 family! 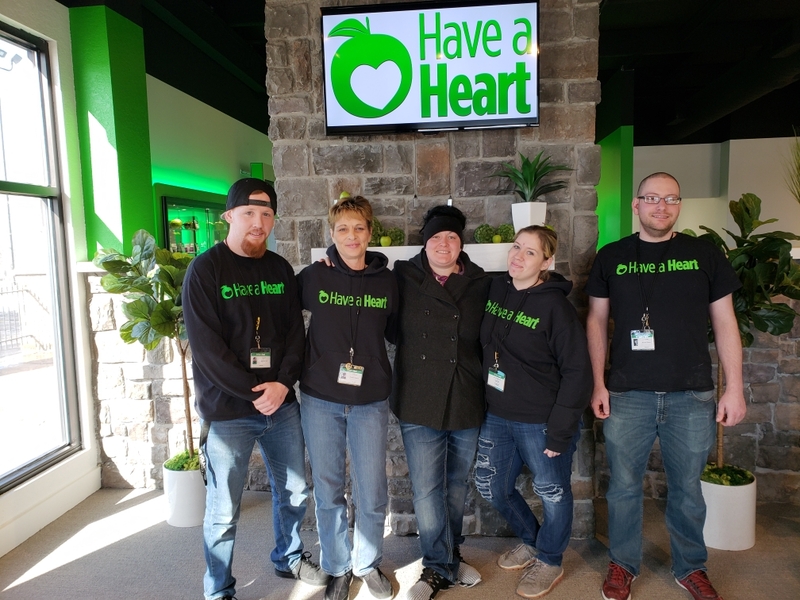 Have a Heart is one of 4 medical marijuana dispensaries that recently opened in Iowa, which is authorized by Iowa's 2017 Medical Cannabidiol Act. This Act allows the use of cannabidiol with no more than 3 percent THC, to treat patients suffering from certain debilitating conditions such as cancer, multiple sclerosis, seizures, HIV, AIDS, Parkinson's and Crohn's diseases. The contract ratified unanimously on February 8th. A new vendor recently was added to our Union Privilege program. Please welcome Rell's Rides in Waterloo, IA. Rell's Rides is offering UFCW members reasonably priced rides, starting at $10.00 daily with both pick and drop off. Weekly rates and Bi-Weekly rates are available as well. Contact Damian at (319) 229-8134 for more information. To find out more information regarding the Scholarship program, complete rules and eligibility requirements, please visit http://www.ufcwcharityfoundation.org/scholarship. For the 2019 awards, online applications will be accepted from any student who has graduated from high school, will be graduating in the spring of in 2019 or who has received their GED. The UFCW Free College Benefit makes back to school a bit easier. Enroll today to earn a debt-free degree! UFCW members and their families can earn an Associate Degree online from a public, accredited community college. If you wish to apply for this opportunity or want more information, please go to ufcwfreecollege.org. As a union member, when you purchase a new home or refinance with Union Plus Wells Fargo Home Mortgage, you will receive a My Mortgage Gift award after closing - $500 when you purchase a home, $300 for refinancing. Hardship benefits are also available to union members in cases of strike, lock-outs, disability or layoff. For more information, contact Joanna at Wells Fargo Home Mortgage (563) 499-1424. No self-respecting movie-lover can take in a flick without movie snacks! Whenever you're in a movie-watching mood or to find lists of Union made products, visit the Labor411.org website.